Children under the age of 3 require a different approach to making the first visit a successful one. Here at SPD, we welcome Mom or Dad to come back with your little one! During the first visit, we will ask you to fill out important paperwork (2018 New patient forms)that will help us cater to every need that your child may have. After we review your records, we will call you and your child back into a comfortable room. We will go into further detail about any concerns you may have for the dentist as well as give you and your family important tips into keeping your child cavity free! During the cleaning, the dentist will do what we call a “lap exam”. A lap exam is where your child will sit comfortably in your lap and then is laid back into the dentist’s lap. During the lap exam, the dentist performs a full mouth exam as well as a cleaning with a normal toothbrush with/without an application of a fluoride treatment. After your appointment is completed, you are walked up front to make your next appointment and to enjoy petting the dogs. 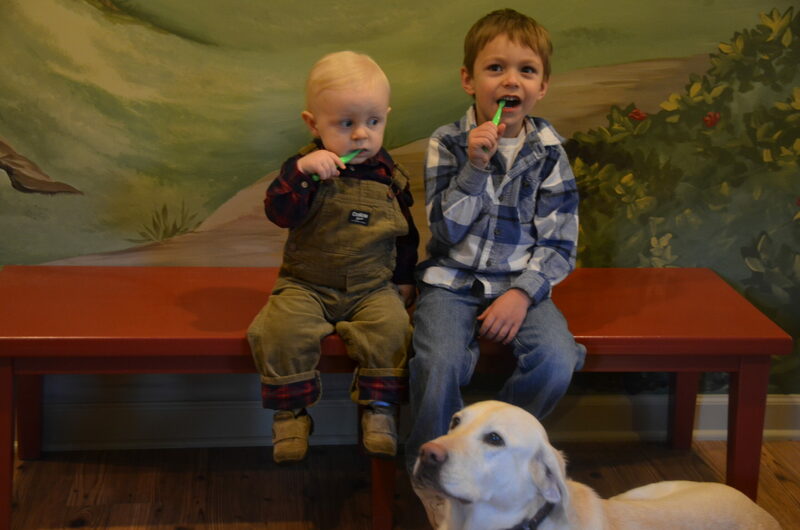 At Spartanburg Pediatric Dentistry we are prepared to make your child’s first visit an enjoyable experience. We have learned that Children are very perceptive and sensitive to the attitudes and energy of those around them. You will notice we have an open bay concept which enables children to feel safe. With an open bay, your child can see other children having fun while they get their teeth brushed as well. During the first visit, we will ask you to fill out important paperwork (2018 New patient forms) that will help us cater to every need that your child may have. This visit will include a full mouth exam, a cleaning with/without digital x-rays and/or a fluoride application. After this exam, the dentist will discuss with you what your child may need and together we will make a custom treatment plan that fits the needs of the child. After your appointment is completed, you are walked up front to make your next appointment and to enjoy petting the dogs.